PCs for People (“pcsrefurbished.com”) owns and operates this Website. This document governs your relationship with pcsrefurbished.com (“Website”). Access to and use of this Website and the products and services available through this Website (collectively, the "Services") are subject to the following terms, conditions and notices (the "Terms of Service"). By using the Services, you are agreeing to all of the Terms of Service, as may be updated by us from time to time. You should check this page regularly to take notice of any changes we may have made to the Terms of Service. You must not misuse this Website. You will not: commit or encourage a criminal offense; transmit or distribute a virus, trojan, worm, logic bomb or any other material which is malicious, technologically harmful, in breach of confidence or in any way offensive or obscene; hack into any aspect of the Service; corrupt data; cause annoyance to other users; infringe upon the rights of any other person's proprietary rights; send any unsolicited advertising or promotional material, commonly referred to as "spam"; or attempt to affect the performance or functionality of any computer facilities of or accessed through this Website. Breaching this provision would constitute a criminal offense and pcsrefurbished.com will report any such breach to the relevant law enforcement authorities and disclose your identity to them. The intellectual property rights in all software and content (including photographic images) made available to you on or through this Website remains the property ofpcsrefurbished.com or its licensors and are protected by copyright laws and treaties around the world. All such rights are reserved by pcsrefurbished.com and its licensors. You may store, print and display the content supplied solely for your own personal use. You are not permitted to publish, manipulate, distribute or otherwise reproduce, in any format, any of the content or copies of the content supplied to you or which appears on this Website nor may you use any such content in connection with any business or commercial enterprise. In order to contract with pcsrefurbished.com you must be over 18 years of age and possess a valid credit or debit card issued by a bank acceptable to us. pcsrefurbished.com retains the right to refuse any request made by you. If your order is accepted we will inform you by email and we will confirm the identity of the party which you have contracted with. This will usually be pcsrefurbished.com or may in some cases be a third party. Where a contract is made with a third party pcsrefurbished.com is not acting as either agent or principal and the contract is made between yourself and that third party and will be subject to the terms of sale which they supply you. When placing an order you undertake that all details you provide to us are true and accurate, that you are an authorized user of the credit or debit card used to place your order and that there are sufficient funds to cover the cost of the goods. The cost of foreign products and services may fluctuate. All prices advertised are subject to such changes. The material displayed on this Website is provided without any guarantees, conditions or warranties as to its accuracy. Unless expressly stated to the contrary to the fullest extent permitted by law, pcsrefurbished.com and its suppliers, content providers and advertisers hereby expressly exclude all conditions, warranties and other terms which might otherwise be implied by statute, common law or the law of equity and shall not be liable for any damages whatsoever, including but without limitation to any direct, indirect, special, consequential, punitive or incidental damages, or damages for loss of use, profits, data or other intangibles, damage to goodwill or reputation, or the cost of procurement of substitute goods and services, arising out of or related to the use, inability to use, performance or failures of this Website or the Linked Sites and any materials posted thereon, irrespective of whether such damages were foreseeable or arise in contract, tort, equity, restitution, by statute, at common law or otherwise. This does not affect pcsrefurbished.com's liability for death or personal injury arising from its negligence, fraudulent misrepresentation, misrepresentation as to a fundamental matter or any other liability which cannot be excluded or limited under applicable law. Except where expressly stated to the contrary all persons (including their names and images), third party trade marks and content, services and/or locations featured on this Website are in no way associated, linked or affiliated with pcsrefurbished.com and you should not rely on the existence of such a connection or affiliation. Any trademarks/names featured on this Website are owned by the respective trademark owners. Where a trademark or brand name is referred to it is used solely to describe or identify the products and services and is in no way an assertion that such products or services are endorsed by or connected to pcsrefurbished.com. You agree to indemnify, defend and hold harmless pcsrefurbished.com, its directors, officers, employees, consultants, agents, and affiliates, from any and all third party claims, liability, damages and/or costs (including, but not limited to, legal fees) arising from your use this Website or your breach of the Terms of Service. pcsrefurbished.com shall have the right in its absolute discretion at any time and without notice to amend, remove or vary the Services and/or any page of this Website. The above Terms of Service constitute the entire agreement of the parties and supersede any and all preceding and contemporaneous agreements between you and pcsrefurbished.com. Any waiver of any provision of the Terms of Service will be effective only if in writing and signed by a Director of pcsrefurbished.com. Items covered by this policy must be returned within 30 days of the purchase date for this policy to apply. If for any reason you are not satisfied with your purchase, you may return or exchange it for another product. Return shipping labels are the responsibilities of the purchaser. You should use a trackable shipping service and purchasing shipping insurance. We are not responsbile for packages lost or damaged during shipping. Any user caused issues, alterations, obvious wear or damage will not be eligible for a refund or exchange. Any product that is returned with markings or writings made by customer is not eligible for return. If you received your product damaged, please contact us within 7 days for guidelines and instructions on how to resolve this issue. This would not be considered a return. Only regular priced items may be refunded, certain sale items cannot be refunded. All internet device orders are shipped standard ground 4-7 day shipping for free within the United States and to Puerto Rico. Shipping of computers, accessories and all other products are free within the lower 48 States. We strive for low prices and unfortunately cannot provide free shipping for larger item orders shipped to Alaska, Hawaii and Puerto Rico. If you ship an order to one of these destinations we will contact you if an additional fee is required. If you would like rushed shipping please contact sales@pcsforpeople.org. Please inspect your package right way (open shipping boxes to inspect their contents), before signing for the delivery. Do not assume the item is undamaged because the packaging does not show signs of damage. Do not sign for or accept delivery of any packages that are visibly damaged without first inspecting their contents. If the delivery person refuses to allow you to inspect the merchandise, ask him or her to wait while you contact their office or customer service department. If the merchandise appears to be damaged, please refuse delivery of the item and notify our customer service department. In the event you have signed for a shipment and you subsequently find there to be damage that was concealed by the packaging, do not throw away the packing materials or cartons or there will be no basis for a claim to file on your behalf. Concealed damage is damage that occurred either at the factory or during shipment that is not obvious without removing the packaging. If you discover concealed damage, stop unwrapping or un-packaging the shipment and contact PCs for People. Download a full PDF of our service terms Terms of Service or view the FAQ below. Please follow these instructions to verify coverage before you place your order. Select the device you are ordering as shown in Section A to the left. Enter the main address where you will use the service (street address, city, state, and zip code) as shown in Section B to the left. View data coverage by selecting the “Data” tab as shown in Section C to the left. View “4G LTE” or “Enhanced LTE” coverage as shown in Section D to the left. If you have coverage with your selected device, please complete your order. If you do not, please Contact US and we will investigate whether we have a different device we can offer you. Where do I get Internet? Through Bridging the Gap we offer unlimited 4G LTE service. New Customer signup is now available. New clients: If you choose to order internet service or a computer with a Microsoft product installed, PCs for People must verify you meet the stated eligibility requirements. The application will automatically be displayed when required. Just add the desired item(s) to your cart and proceed to checkout. For returning customers: If you buy a plan that stretches past one year since you have provided PCs for People proof of eligibility, you will need to again provide required documentation (prior to renewing) to establish you are still eligibile to receive internet service through this program. If you are purchasing time online you will be promped for new proof when required. Online orders will require an image or PDF upload of your proof of eligibility document. For phone orders, this proof can be emailed to internet@pcsforpeople.com, faxed to 651-666-1045 or mailed to our office. Does the 4G LTE Service Plan provide unlimited data? *“Quality of Service” Practices (QoS): Unlimited customers who use more than 23 GB of data during a billing cycle may be deprioritized during times and places where the network is constrained. See Network Management for details. Limited time offer. Coverage not available everywhere. 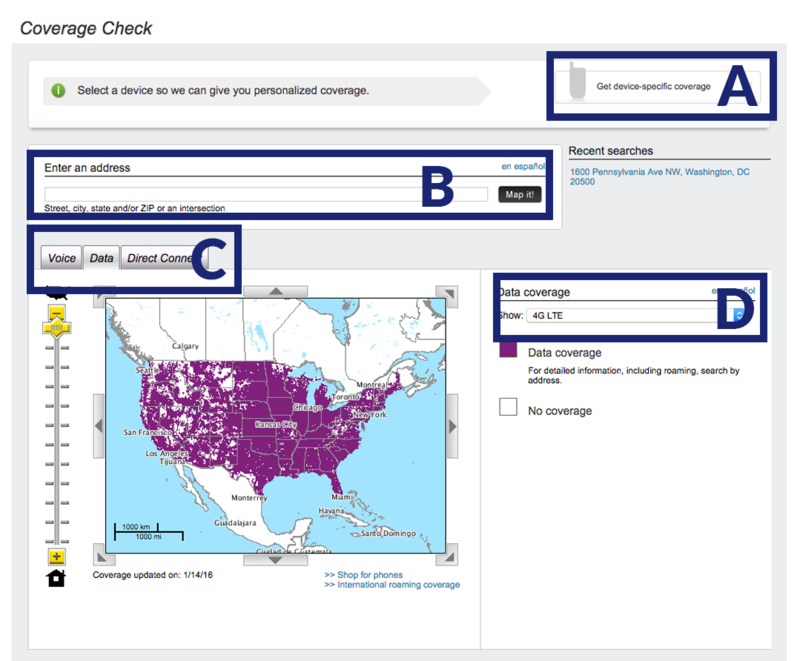 See the Coverage Map for details and search for 4G LTE data coverage. Subject to availability. Eligibility restrictions and other restrictions may apply. All service plans are subject to Mobile Beacon’s Terms and Conditions located at http://www.mobilebeacon.org/legal. All shipping is included in your purchase and items will be shipped via standard ground service. Expected delivery is 4-7 business days and is restricted to the United States and Puerto Rico. Laptops start at $100 and Desktops start at $75. The same proof of eligibility you provide for internet can be used to get a laptop or desktop. Add a computer to your cart now or come back anytime! 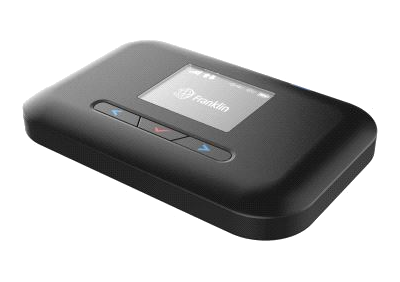 To get started you will need a 4G LTE modem and a prepaid Internet subscription. Subscriptions start at $11.25 per month and can be purchased in 1, 3, 6 and 12 month increments. Can I bring my own modem? No. Unfortunately, Mobile Beacon’s activation process does not currently allow users to supply their own device. We will provide updates if the current process changes. How are you able to offer $11.25 per month unlimited mobile internet access? We have a unique partnership with Mobile Beacon that allows us to extend their pricing for Unlimited 4G LTE to schools, nonprofits and certain low income individuals who meet our eligibility requirements. Anyone who purchases the service must provide proof of eligibility and we will routinely validate users’ ongoing eligibility to continue to receive Mobile Beacon’s service. Items must be returned within 7 days from the date the device is received. Internet subscriptions may be refunded for any unused months remaining on your current subscription term. Mobile Beacon currently provides a 60-day hardware warranty through the network provider and a 6 month limited warranty is provided by the device manufacturer. PCs for People provides device support, but does not provide warranty replacement for internet devices. Before your initial internet subscription expires, you will need to purchase a new subscription to keep your internet service active. Internet subscriptions start at $11.25 per month and can be purchased in 1, 3, 6 and 12 month increments. Renewals can be made at internetrenewal.com or by calling 651-354-2552. As a courtesy reminder, PCs for People will call and email you before your subscription end date. For expired accounts, PCs for People notifies Mobile Beacon as soon as payment is received. Mobile Beacon is responsible for turning on inactive devices and this process may take several days. Where do I view my account and prepaid time? Existing clients can view subscriptions from this site.